ESSENCE STAY ALL DAY CONCEALER REVIEW. - CRUELTY-FREE BECKY. ESSENCE STAY ALL DAY CONCEALER REVIEW. 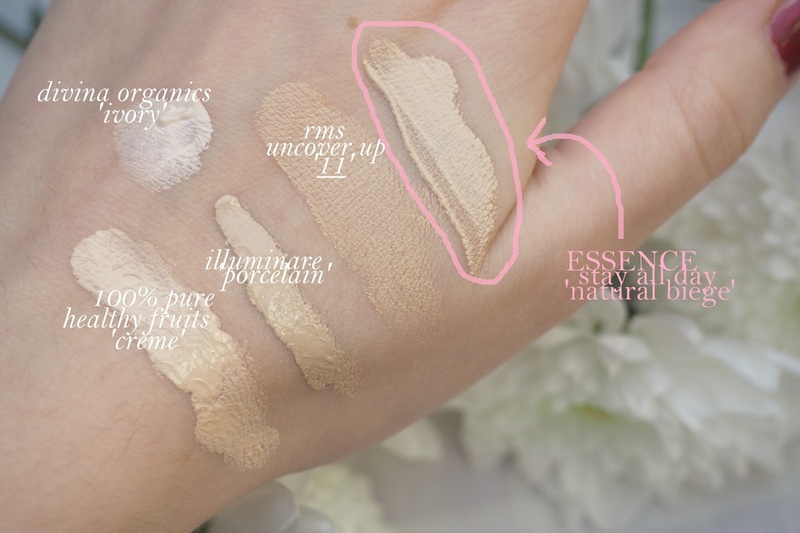 I've talked a lot about the Essence Beauty Stay All Day Concealer in the past, so I thought it only right to make a log of the good and bad. See below for the full low down on this vegan concealer as well as for swatches alongisde other cruelty-free concealers and foundations in my stash. MATCH Good. Yellow-ish undertone. No orange to it. APPLICATION Doe-foot applicator. Can be worked into skin with finger or sponge. POWDER? Not necessary for me. LASTING POWER At least 9 hours, a good full day. PROS Really affordable; nice applicator; wears nicely; can easily be found on the high street. CONS Cheap ingredients; only found in Wilkinson. To see all the products in my current stash, click here. To watch my current stash video, click here.